Your children can personalize and capture what they learn in this beautiful keepsake they will want to revisit as they grow in Christ. Author Jeannie Fulbright and technical editor and content contributor, Damian Ludwiczak, who is an engineer at NASA, partnered together with Apologia to create this Second Edition of Exploring Creation with Astronomy. This is the updated Notebooking Journal to accompany the updated text. Our award-winning K-6 homeschool science curriculum uses the Charlotte Mason methodology to give young students an introduction to the fascinating world of chemistry and physics. Author Jeannie Fulbright and technical editor and content contributor, Damian Ludwiczak, who is an engineer at NASA, partnered together with Apologia to create this Second Edition of Exploring Creation with Astronomy. See our NEW Astronomy Lab Kit which contains bonus activities in an exclusive guide book produced by Apologia. This high-quality spiral-bound notebook is specifically designed to help your student make a successful transition to high school science. This homeschool resource will help them feel accomplished and be more independent, organized, and prepared. 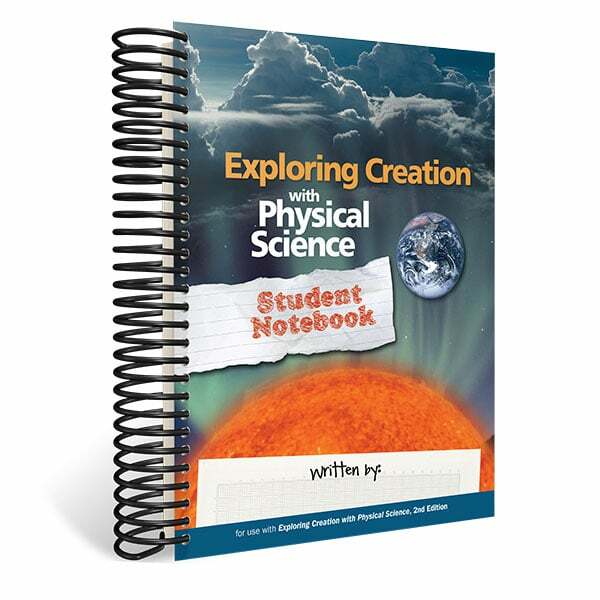 This companion notebook designed to be used with Exploring Creation with Physical Science, 2nd Edition will deepen their understanding of the textbook as they explore what God’s Word has to say about the workings of His creation. Includes bonus material from Debra Bell’s Study Smart Student Toolkit. Author Jeannie Fulbright and technical editor and content contributor, Damian Ludwiczak, who is an engineer at NASA, partnered together with Apologia to create this Second Edition of Exploring Creation with Astronomy. This is the updated Junior Notebooking Journal to accompany the updated text. The activities in this notebooking journal provide everything your child needs to complete the assignments in Exploring Creation with Chemistry and Physics. In addition to a suggested lesson schedule, it serves as your child's individual notebook and provides a place for them to complete every assignment, record their experiments, and display their work. Need help with an order? Give us a call and let us help you! Fast and secure checkout through our online store! Check out the extras for every textbook you own! Earn 10% commission on our homeschool curriculum by becoming an Apologia affiliate. If you blog or have a web site, SIGN UP TODAY! 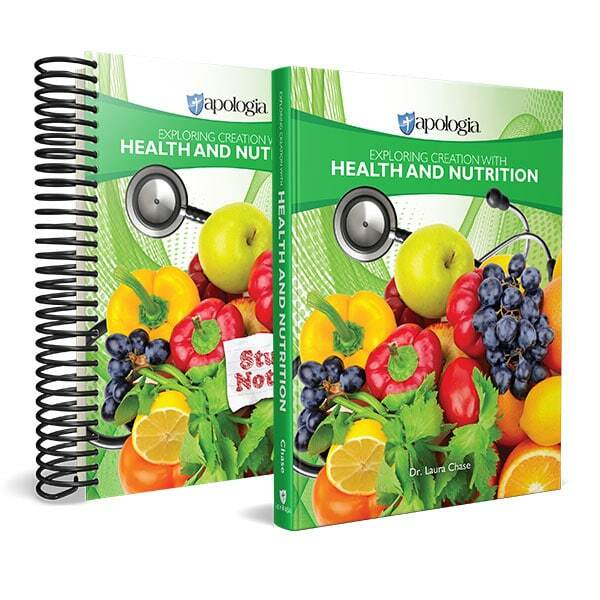 Apologia publishes homeschooling curriculum and resources, and hosts online classes to help families learn, live, and defend the Christian faith.